And boy am I glad. I’ve been suffering from a serious case of next-dayitis; my Monday was my Tuesday, my Tuesday was my Wednesday, etc. One more reason why I am super excited that it’s Friday? There is only one more Friday that stands between me and Opening day of the Milwaukee Brewers!!!! I may or may not have already started packing. Speaking of packing, I’ve noticed that most of my luggage consists of winter coats, long underwear, Brewer hats, mittens, scarves and boots. Judging from the lovely Wisconsin spring weather that they have been having up there, this game is going to be a bit chilly, feeling more a Packer game than a baseball game. But between now and then, there stands this amazing weekend I’ve got planned. 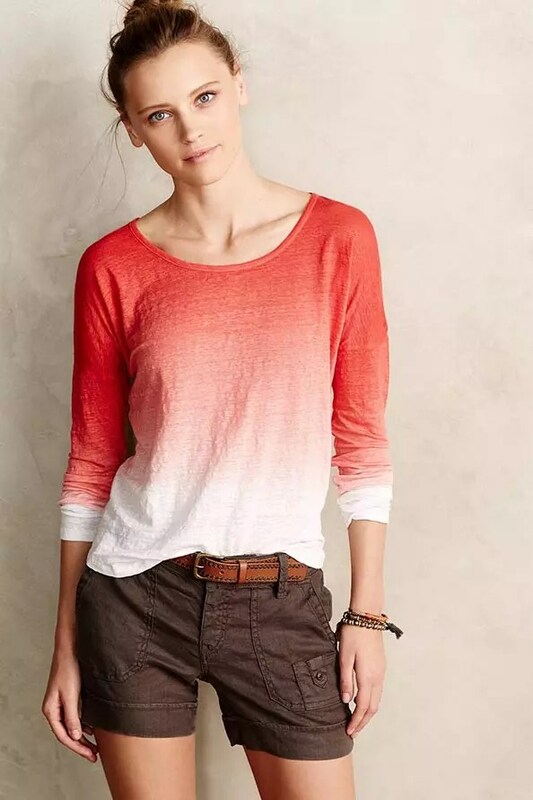 Tomorrow I’m having a gals’ day with my girl Eric, shopping till we drop and then on Sunday, I’ve got a long day of playing DVR/Nook catch-up. It’s supposed to be rainy and icky out both days and I can’t think of anything better than cuddling up with a good book, an episode of The Office (can you believe its that last season?! 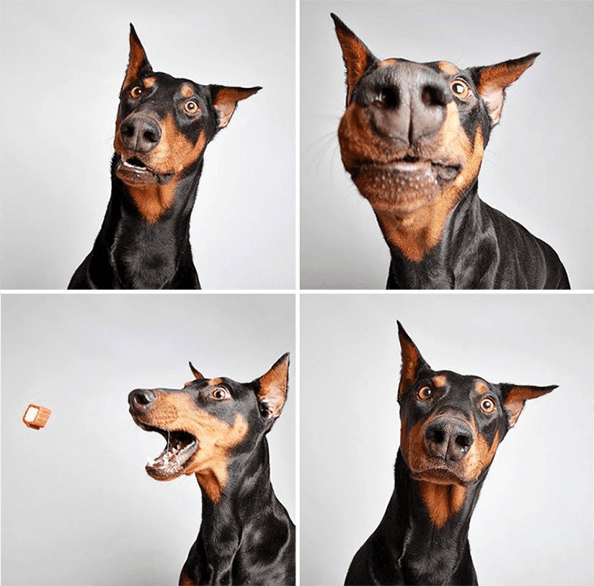 ), and my pup to keep me company (and by keep my company, I mean sitting on my lap on the ready just in case a piece of my cookie or sandwich happens to fall within his drooling grasp–gotta love him). I hope you’ve got some fun activities on the horizon too, and in the meantime, please enjoy my favorite finds from around the web and beyond in this week’s Friday Favorites. Have a great weekend! 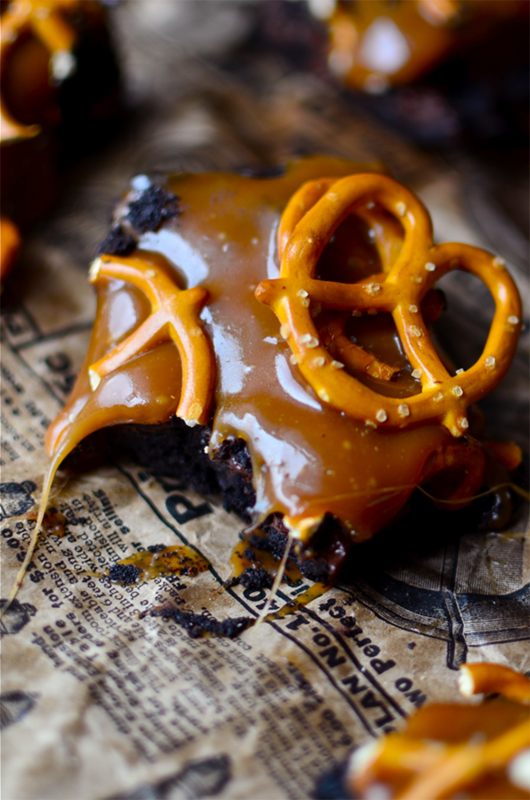 Favorite sweet: Chocolate-covered Pretzels. Cookies. 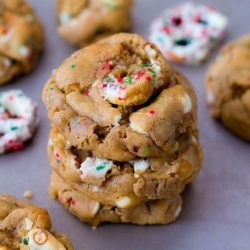 Chocolate-covered pretzels IN cookies. Yes! Yes! My goodness yes! Favorite furball. I’ve looked at this photo at least 100 times this week, and it cracks me up every single time. 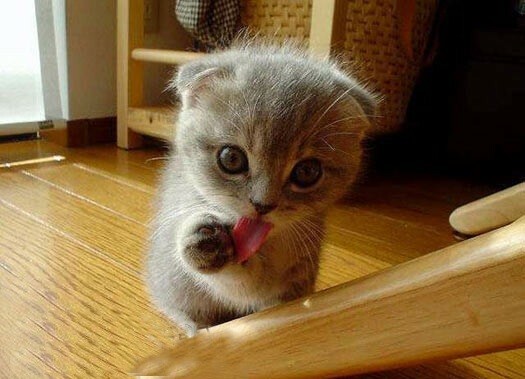 I love how he (or she) is staring at a spot on the wall, concentrating SO HARD on getting that little tongue to curl. Precious! Favorite devour: Italian Drunken Noodles. 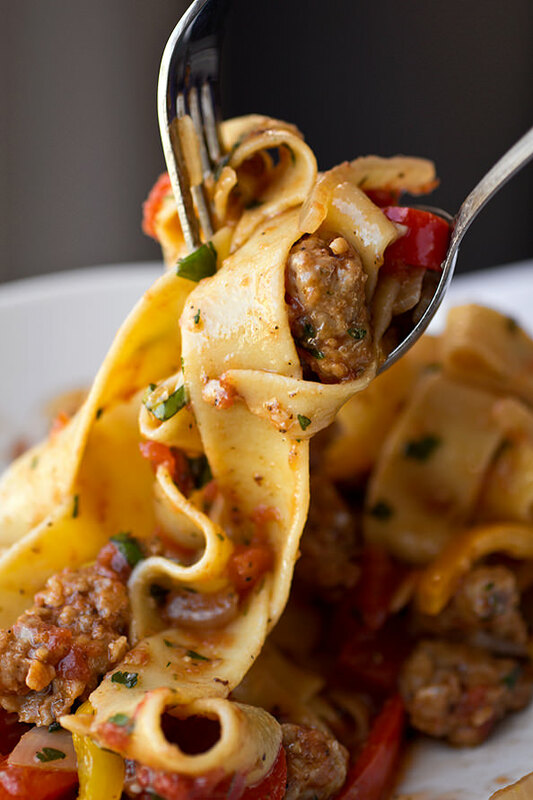 The only thing I like better than this blog post (it’s a great read) is the recipe for Italian Drunken Noodles within it. 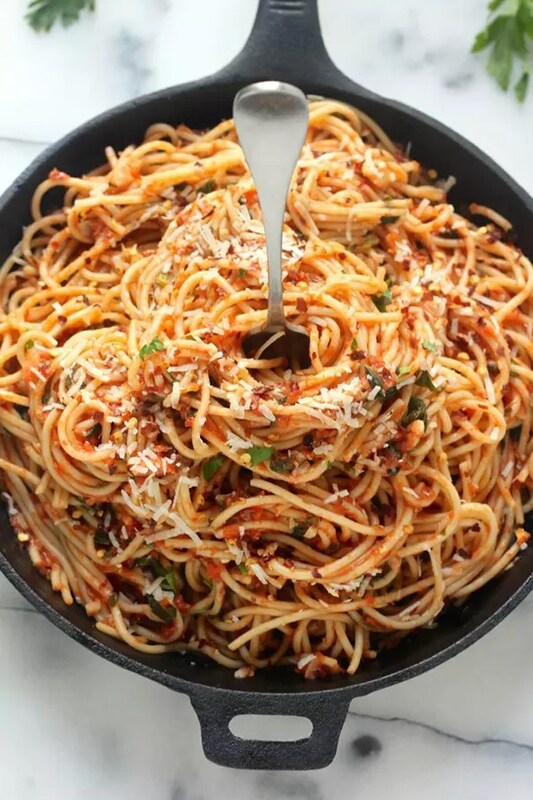 Total comfort food – I am so down! 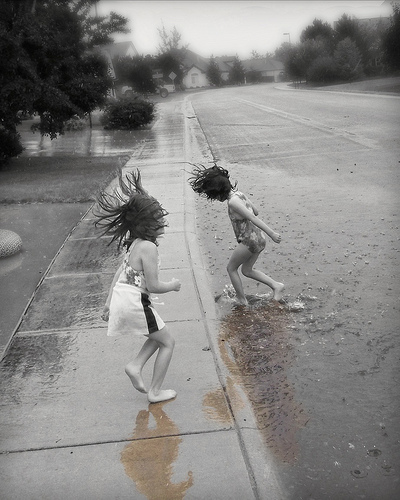 Favorite artsy-fartsy: Come with a story and leave with another. 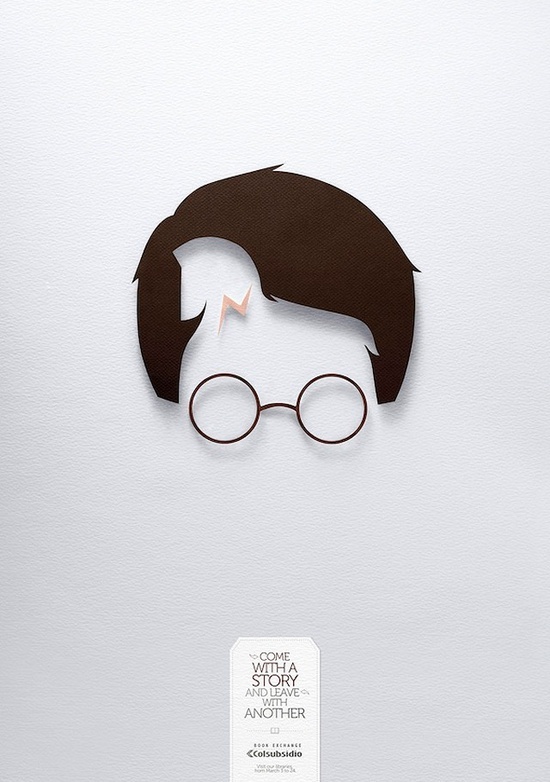 This artist creates artwork that have your favorite storybook characters hidden within storybook characters! How neat! Any guesses as to which story/character this guy comes from? 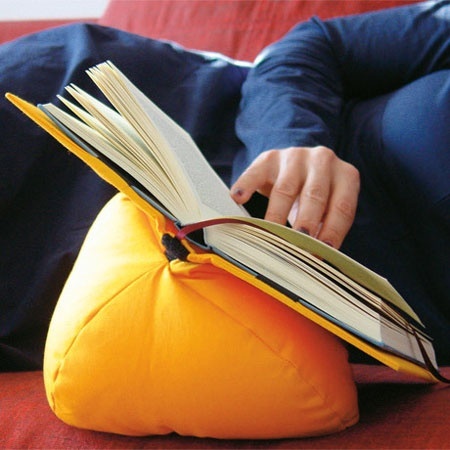 Favorite funky find: This is such a cool idea: a bean bag for your book. I must admit I sometimes have the darndest time finding the right position to comfortably read a book, and this seems like a pretty amazing way to solve that. 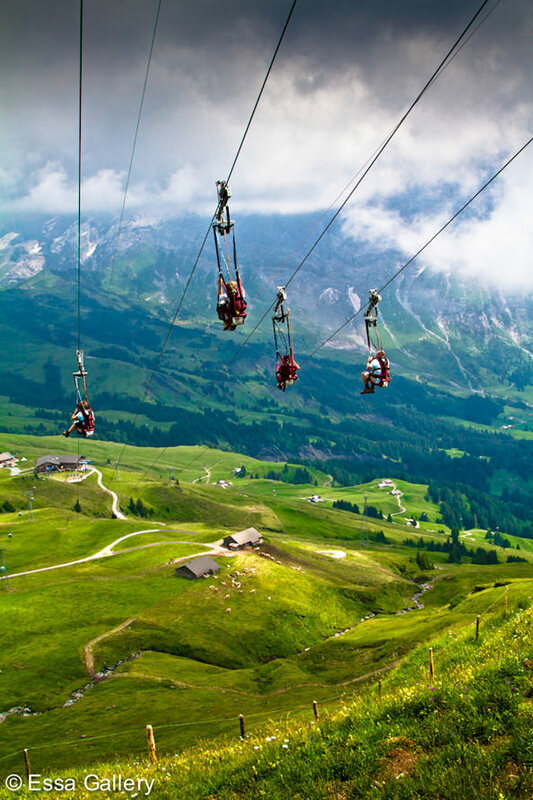 Favorite thrill: The First Flyer – Grindelwald, Switzerland. I have always wanted to go ziplining through a jungle, but I think speeding down a mountain on a 2,400 foot cable, reaching speeds of 55mph just about sounds like the most fun thing ever. Look at those views! 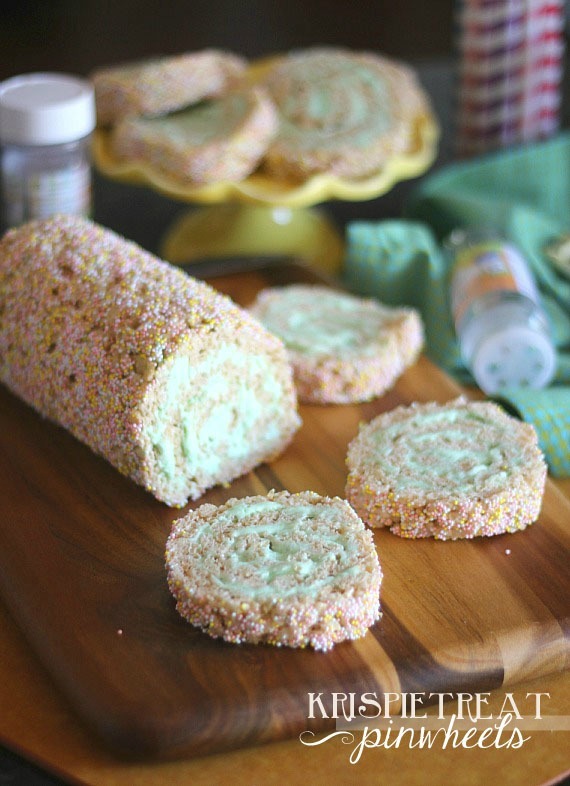 Favorite yum: Krispie Treat Pinwheels. Snap, crackle, pop into my mouth! 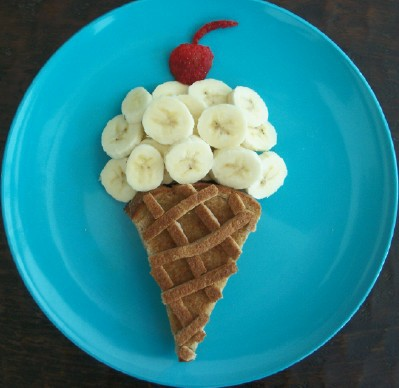 How cute (and easy to do)! With Easter just around the corner, these tasty little guys are sure to be a big hit! Favorite Life Lesson: My friend Chris posted this on Facebook the other day and it really resonated with me. “There are two types of people in this world: those who are inspired, and those that inspire.” Which one are you? 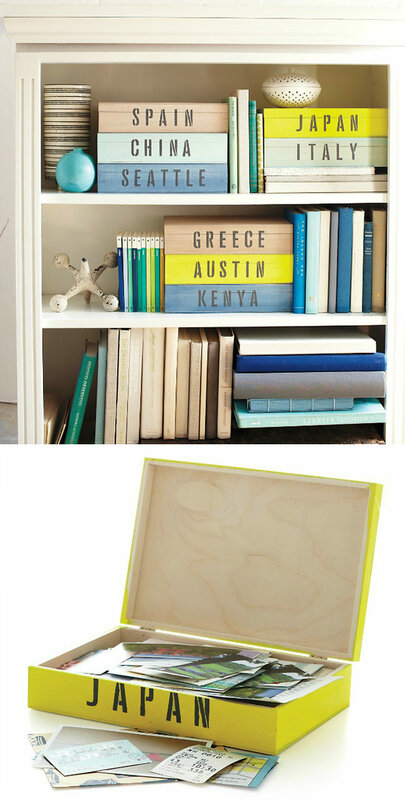 Favorite project: Travel Keepsake Kits. I always have the best intentions of making photo books when I come back from fun trips but it rarely ever happens. A fun keepsake kit to hold maps, ticket stubs, and other fun mementos is an awesome alternative! 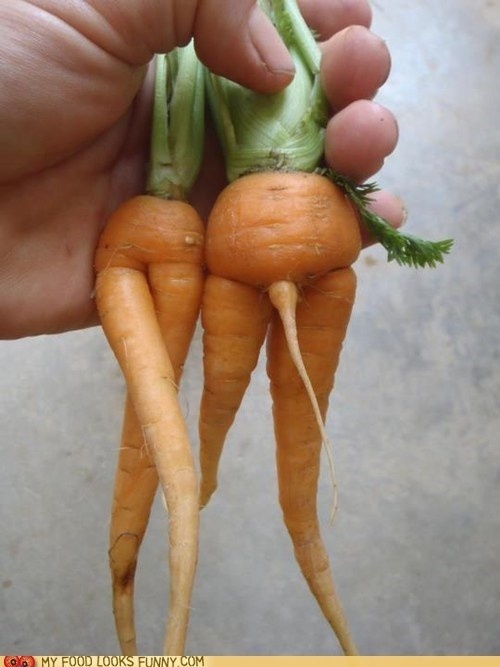 Favorite funny: And that, my friends is how baby carrots are made. Cannot. Stop. Giggling. And yes, I have the maturity level of a five year old. Babies sure are funny, aren’t they? While at work one night this week a co-worker of mine broke into a story about his one-year old daughter. Apparently while feeding her a bowl of mushy peas she suddenly started sticking her tongue out, slowly and suspiciously peering down at it, and then wiggling it around. And what an amazing day that must be, for you, for me, for anybody. 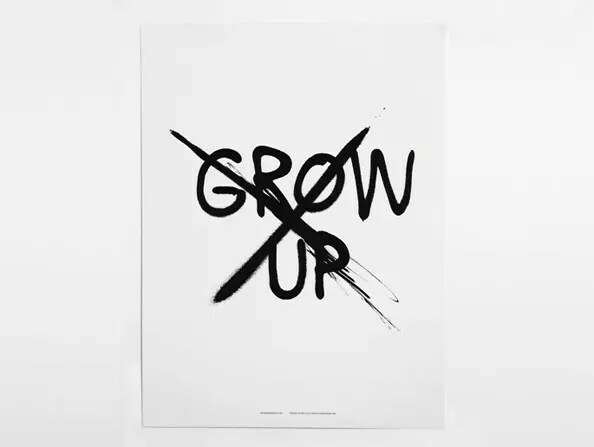 After all, we grow up inside these flabby blobs of flexy muscles, whirring organs, and gurgling parts, and then discover what everything does along the way. The mysteries of your tongue are sort of discovered along the way, too. And what beautiful mysteries they are, my friends. 1. Tongue got your cat. Yes, the muscles at the back of your tongue help make certain sounds while talking, like hard g’s and c’s. 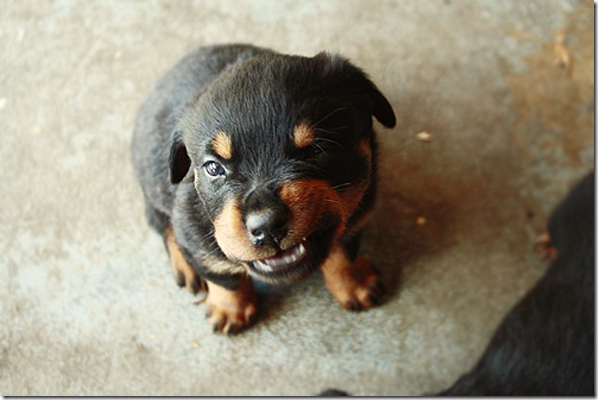 Try saying the word “go” or “cat” really slowly and you’ll feel that pink puppy push across the root of your mouth. 2. Bubble blower. 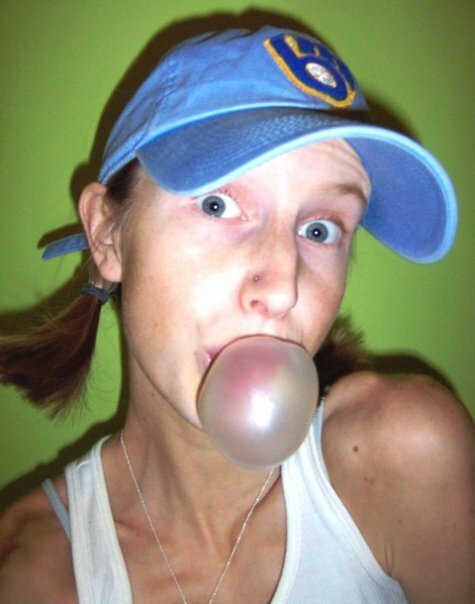 Hey, that wad of chewing gum ain’t gonna balloon into a thin ‘n shaky pink bubble on it’s own, not is it? 3. Whistle while you work. Think of your mouth like the cold garage where your lips and tongue come together to jam after school. Your lips make a small opening and your tongue gets the bumping going. Also works for singing. 4. Taste the rainbow. 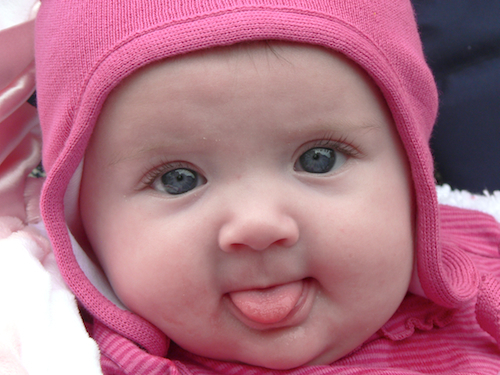 When you’re a one-year old baby, you’ve got around 10,000 taste-buds covering your tongue and when you’re a wrinkly old fart, you’ve got only around 5,000. These tiny flavor-detectors are why mushy bananas and macaroni taste so good when you’re a kid and why bloody steaks and olives do the job when you’re older. 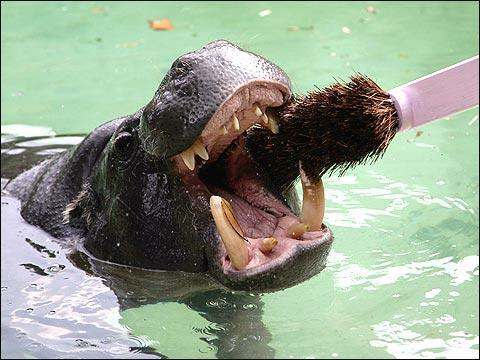 On top of all that, your tongue helps move food to your chompers and then down the gully for digestion. He’s basically the whistle-blowing traffic cop of your body. 5. Clean your fur. If your entire body is covered in fur, your tongue acts like your very own lickable bath machine. Hopefully you won’t have to find out how remarkable this bath machine is, but, to each his (or her) own. 6. French kissing. Apparently swapping spit is a common gesture of affection throughout the animal kingdom, with lovers kissing with their tongues in jungles, in deserts, and bat caves around the world. Evolutionary biologist Thierry Lode even argues that tongue kissing has a real function–to explore a partner’s immune system through their saliva. Yeah, I know: hot! 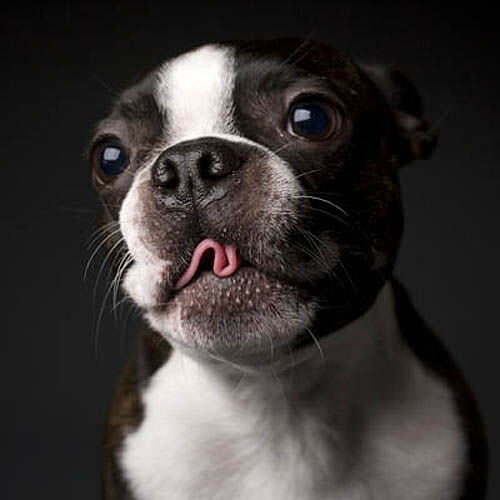 Once upon a time you discovered your tongue with a profound sense of eye-widening wonder and amazement. Over time you began using its magical powers to try new foods, learn how to speak, sing in the car or snuggle up with a young love. So today, give three cheers to that fleshy, pink slab of greatness sitting inside your hot, disgusting mouth. Use its noble powers today to sit back and scream forward one big, booming word with me…. Bust the new brush free from it’s cardboard confinement, give those straight, crisp bristles a quick welcome-to-your-new-home rinse, plop a fat glob of minty green paste on top, and then get down to business, baby! Can I get a T.G.I.F.?! Lordy, this week has semi crawled by. I’ve been experiencing day later syndrome all week (I keep thinking it’s Friday, for instance, when it’s actually Thursday – d’oh!) probably because I spent the beginning part of the week down in Valdosta hanging with my sister. I left on a Monday and came back on Wednesday which in my mind felt like a weekend vacation, throwing my whole schedule for a loop-de-loop. It’s kinda sorta hard to get back into a routine after you’ve been living willy-nilly and without a plan of action for a few days isn’t? Reality set in once I logged on to my email and had a bazillion of messages from the University of Milwaukee about the fastly moving and upcoming start to the school year. September will be here before I know it which means flipping the switch in my brain to school and studying and exam and paper-writing mode. But that is weeks away yet which means I, as well as you, still have time to celebrate and cut loose the rest of summer. 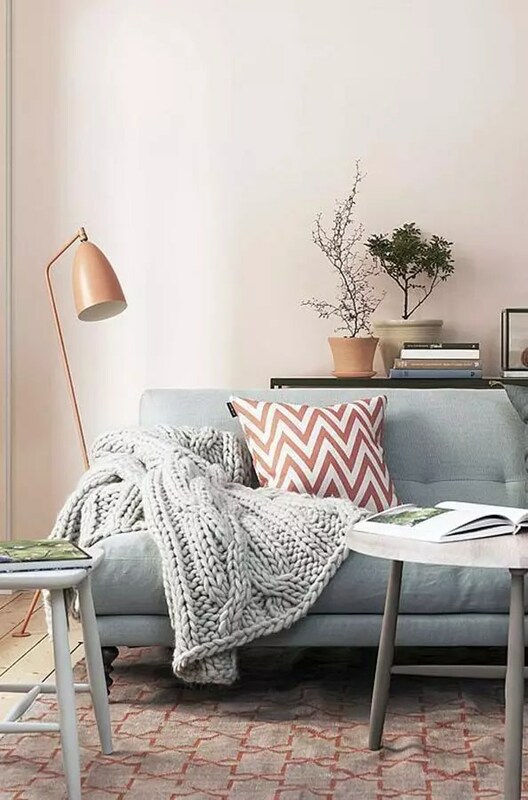 To help you get started this weekend, I thought I’d share with you some of my favorite finds from around the web in this week’s Friday Fav’s! Favorite Midnight Movie: Last night I couldn’t for the life of me fall asleep (don’t you hate when that happens?!). After tossing and turning, I got up and decided to turn on the TV for a while. My channel surfing stumbled upon Land Before Time and I knew I had to stop and watch. When I was little, I think I watched this VHS tape so much, I think it unraveled. This was and is one of my favorite movies ever, even if it has me reaching for the Kleenex and turns me into a blubbering mess every time I see it. Favorite Foodie find: PINK! PINK! PINK! 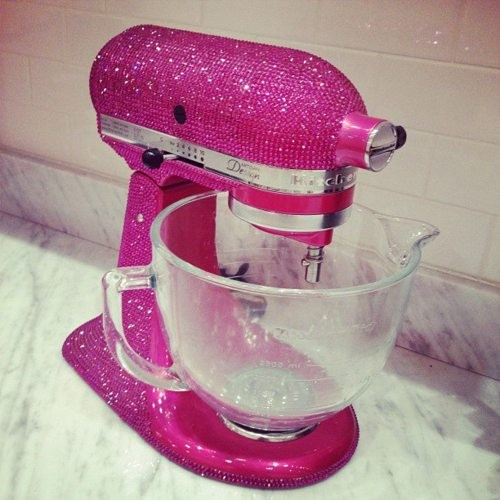 Get in my kitchen! Favorite View: Nothing better in my opinion than enjoying a hot dog, an ice-cold lemonade, and a game at Miller Park. Nothing. Favorite Brunch bunch: Who says you can’t have ice cream for breakfast? 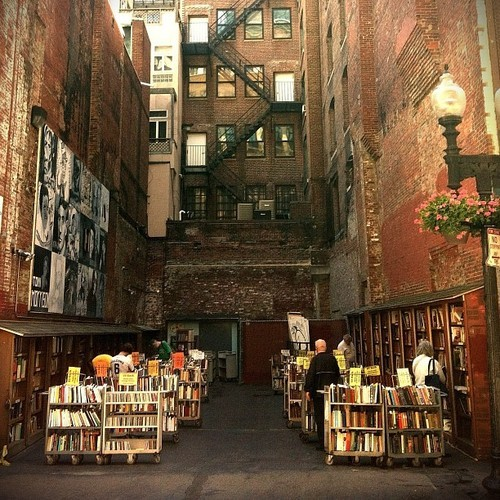 Favorite Book haven: Brattle Book Shop at 9 West Street in Boston, Massachusetts. Pure heaven. 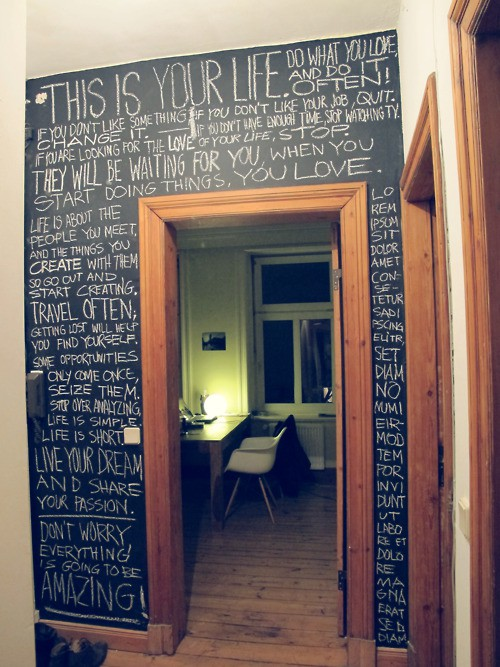 Favorite Wall Wowsas: Chalkboard paint! I LOVE LOVE LOVE this idea! 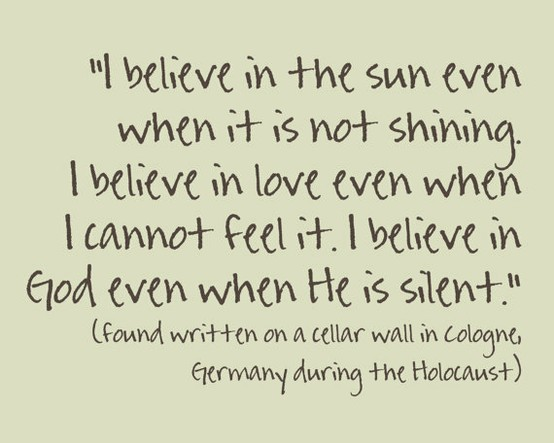 Favorite Inspiration: “I believe.” I do believe. Gives me chills to think about the strength and faith that person had. 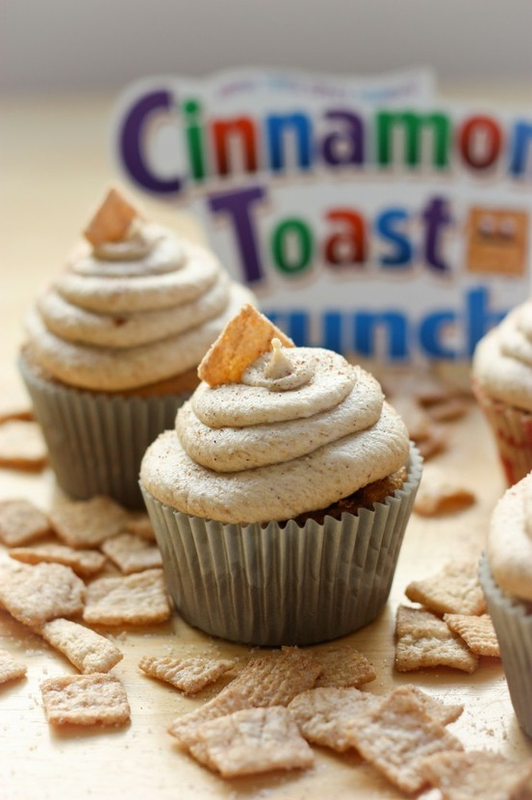 Favorite Drool: Cinnamon Toast Crunch cupcakes. Now I know how Pavlov’s dogs must have felt. Nummers. 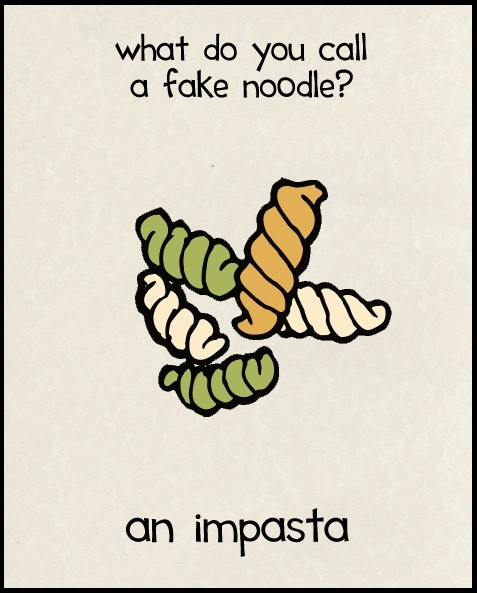 Favorite Funny: An impasta! HAHAHAHA!!! I don’t any anything too terribly exciting planned for this weekend; my pup Thunder (I hope you enjoyed his guest post yesterday btw. The little turd thinks it’s funny whenever he hides his bone under the fridge and I guess the joke is on me because I fall for it every.time.) is a little sick so I probably will be spending a good deal of time taking care of him, the poor guy. The vet said he probably has just got a bad infection but with a little antibiotics and a lot of lovin’, he should be okay within a couple of days, thank goodness. Other than that, it’s supposed to be super nice tomorrow so a hike is definitely being penciled in and I also think a mad, mad marathon of my new favorite show Glee is in order! 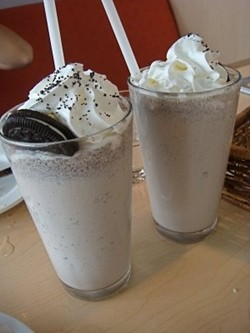 That, paired with some of my these babies, is total heaven in my book! 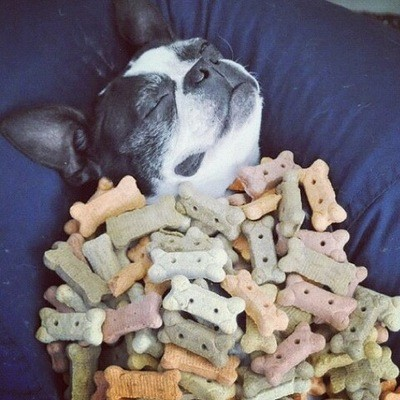 And on that sweet, sweet note, here are this week’s Fav’s from around the world wide web! Enjoy! 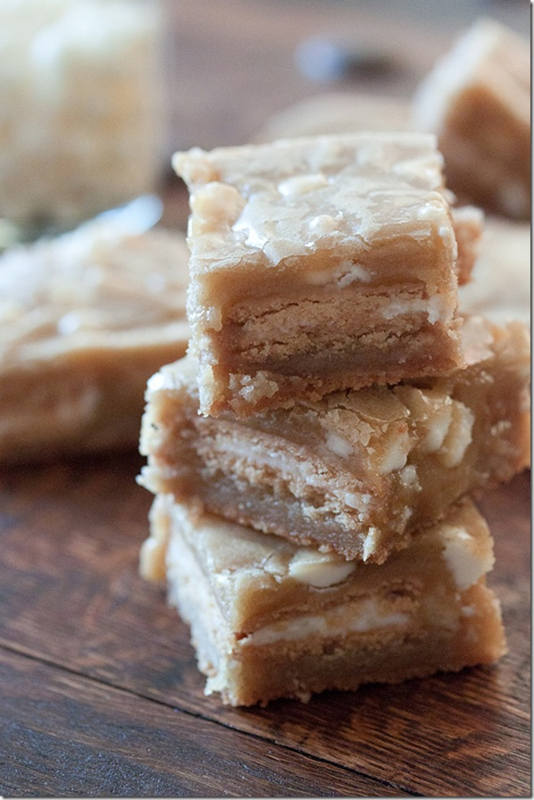 Favorite Sweet: Slutty Blondies. If loving promiscuous blondies is wrong, I don’t want to be right! Favorite ‘No Way, Hosea!’: Lake Retba, Senegal. 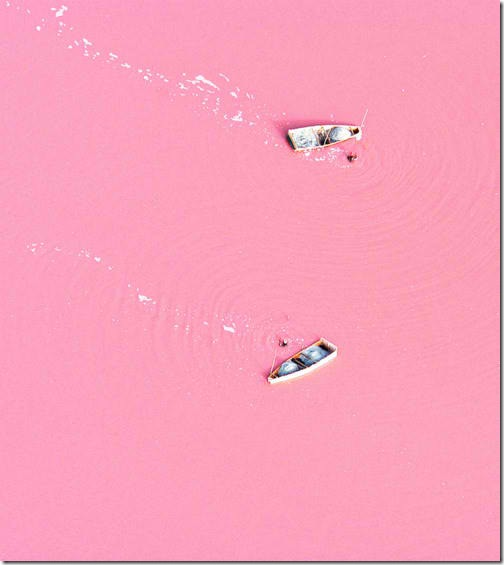 A PINK lake – HA! Apparently the lake’s hue is due to some harmless bacteria in the water. It’s also got a higher salt content than the Dead Sea, which makes everyone FLOAT like a boat. So cool! 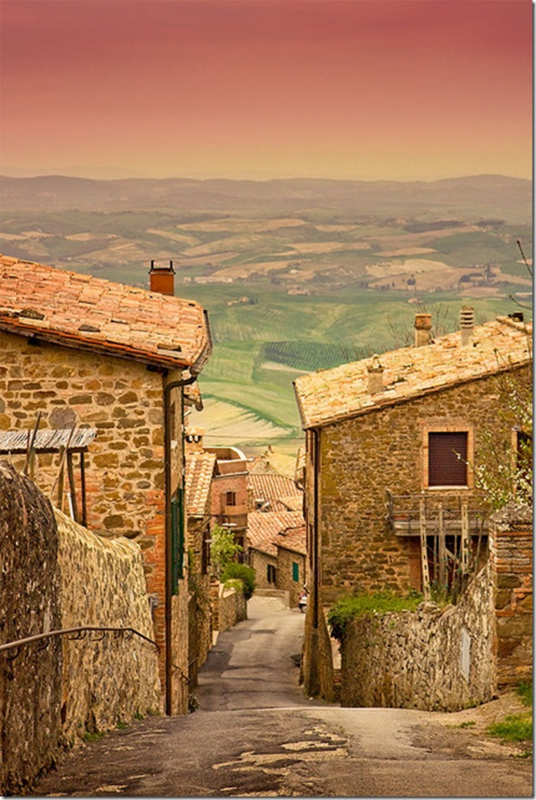 Favorite View: Montalcino, Tuscany, Italy. I want to go there. Like now. Like ‘I’m buying my airline tickets as we speak’ now! 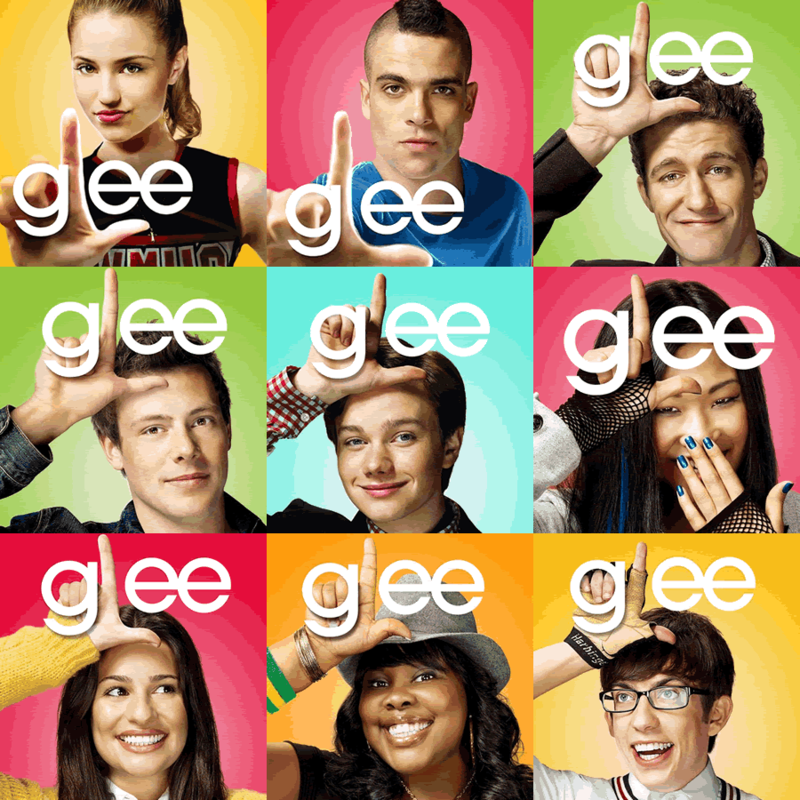 Favorite Show: Glee! I know I am a little late to the class but holy guacamole, Sue Sylvester! This show is amazeballs! I may or may not want to start up my very own glee club. Okay. I totally do! 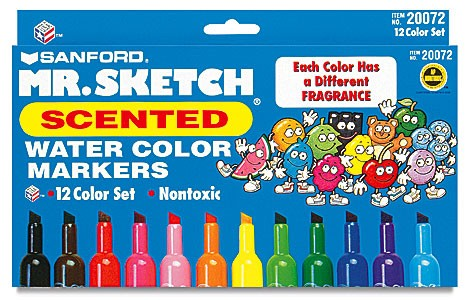 Favorite Kicking it Old School Moment: Scented markers. Middle school in a box. Was I the only kid who walked around with a red (cherry was my favorite!) and green and yellow and pink tipped nose from sniffing my homework? Favorite Photo: If these walls could talk. 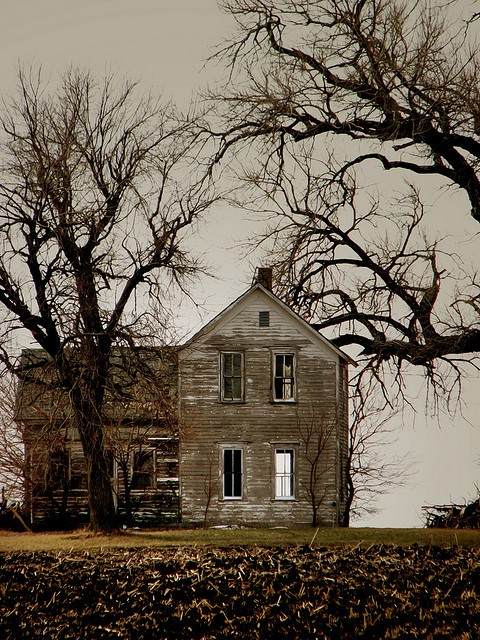 There is something very creepy yet very majestic about this particular Kodak moment. 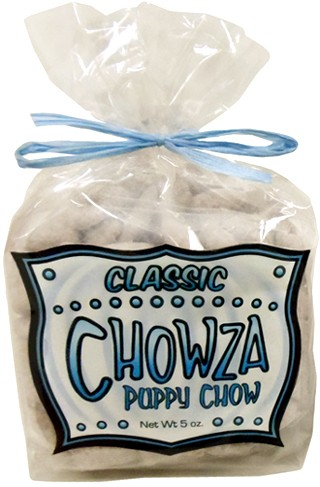 Favorite Snack: Chowza. 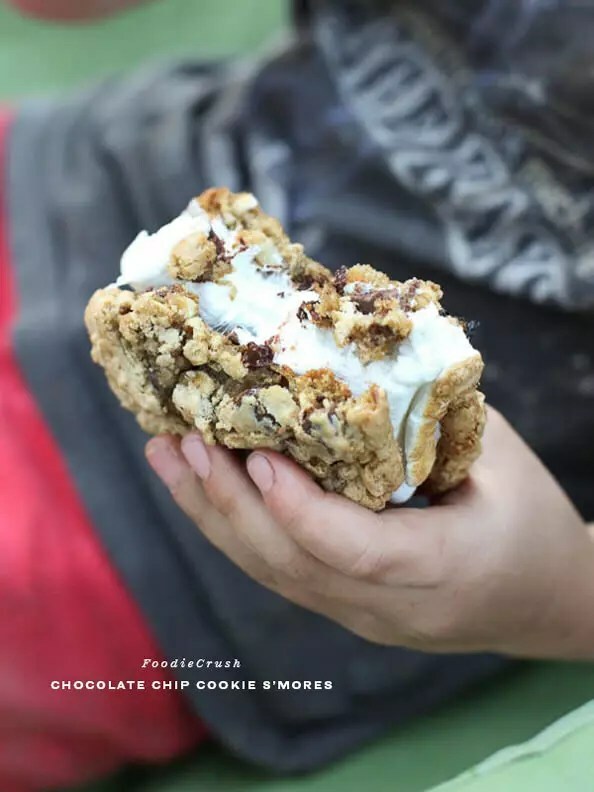 One of my bestest friends created this heavenly mix of goodness which puts yo’ momma’s standard old puppy chow to shame (no offense to yo’ momma of course). 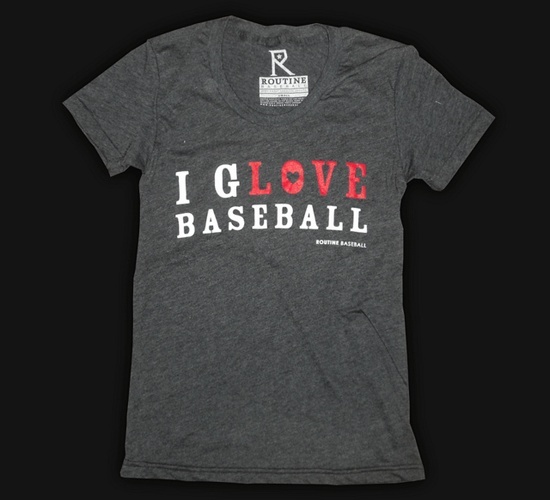 Father’s Day is just around the corner which means that you should totally head on over to his website and order some for yourself. I mean your dad. Trust me, you, I mean your dad, will thank me! Oh just get some already! 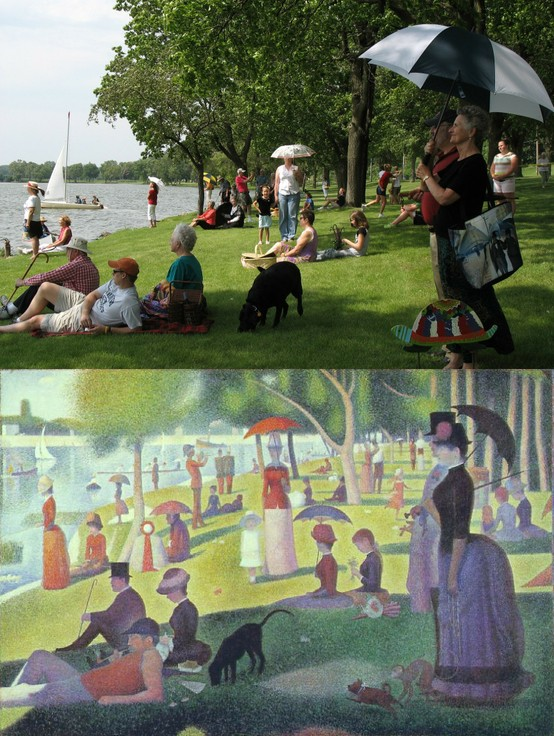 Favorite Double Take: Life imitating art imitating life. Imitating art. 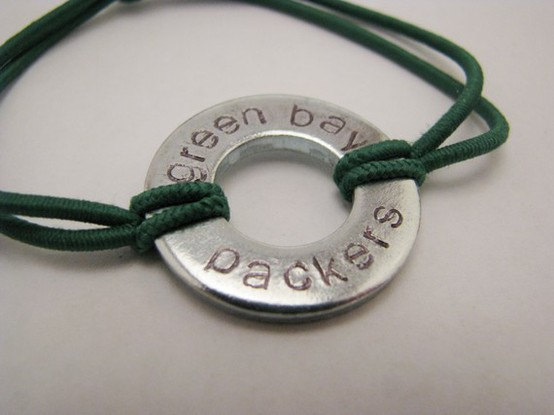 Favorite Bling: Dahnahnah nah nah nah nah nah…GO PACK GO! 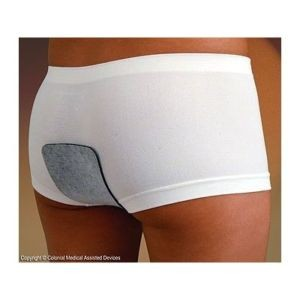 I have to get this! Favorite Funny: The Beatles!! BAHAHAHAHA! Get it? 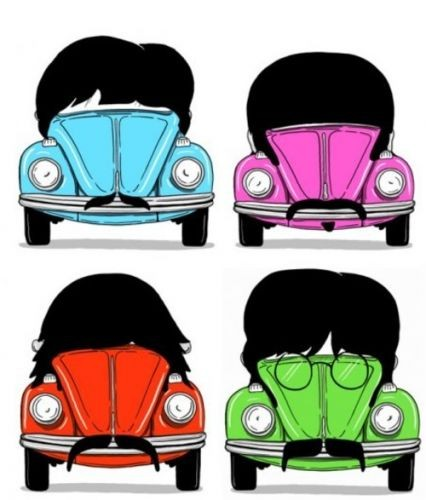 It’s a beatle dressed as a beatle! BAHAHAHAHAHA. As you can see, I am easily amused. 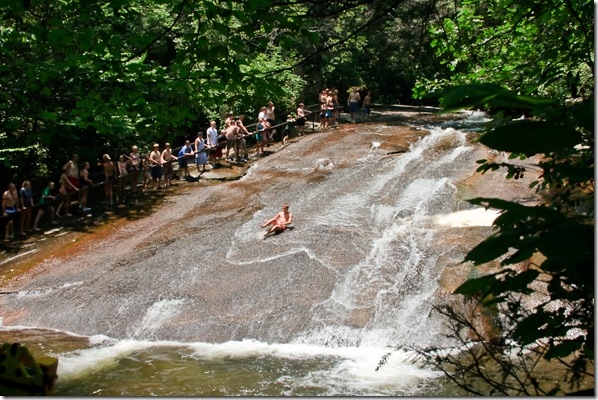 Question of the day: What are your fun weekend plans?